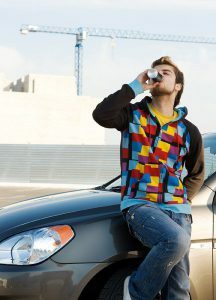 It’s time for a heart to heart about the dangers to your child’s health posed by energy drinks. Not only can it play a role in obesity, diabetes, etc., but research now shows it may pose more risk than you’re aware of. Much has been written about how sugary drinks are bad for your health, and especially bad for your teeth. What could surprise you is how much sugar is in the drinks your child consumes regularly. Sports drinks, designed to replace electrolytes lost during exercise, as well as energy drinks, often contain 6-8 teaspoons of sugar per serving. Unfortunately, sugar is not the only issue to consider. It turns out that there is often a lot of citric acid in energy drinks as well. Researchers examined the flouride levels, PH, and acidity levels in 13 sports drinks and nine energy drinks, including Gatorade and Red Bull. In order to test the effects of acidity on enamel, the investigators immersed samples of human tooth enamel in the beverage for 15 minutes, and then followed by immersing them in artificial saliva for two hours. They did this four times per day for five days, and stored the enamel in fresh artificial saliva the rest of the time. “This type of testing simulates the same exposure that a large proportion of American teens and young adults are subjecting their teeth to on a regular basis when they drink one of these beverages every few hours,” says Dr. Poonam Jain, lead author of the study. The study showed that teeth lost enamel with exposure to both sports and energy drinks, but energy drinks took off a lot more enamel than sports drinks; twice as much, actually. And this fact comes as a surprise to many, since you won’t find that information on the label. The beverage industry is not required to include citric acid levels on the nutritional labels of drinks. Even competitive athletes you may see in energy drink commercials are at risk. A survey of 302 athletes on oral health and its impact on performance, conducted at the London Olympics in 2012, found that 55% had cavities, 45% had tooth erosion, and 76% had gum disease. The scary part is that about 1/3 of all teens drink energy drinks regularly, according to the NIH, and even more consume sports drinks daily. It’s important to educate ourselves and our children about the dangers these drinks can pose to our health, and especially to the health of our teeth and gums. The damage these drinks cause to your tooth enamel is not reversible, and without the protection of enamel, teeth become overly sensitive, more susceptible to cavities, and more likely to decay. And that’s not even considering that high levels of citric acid can lead to kidney stones, and loss of bone mass. If you still aren’t convinced of the risks, the American Academy of Pediatrics says that children should never consume caffeinated energy drinks, due to concerns about the effects of high doses of caffeine on young, growing bodies. So what’s an active kid to do? Well, good old water is the best alternative. According to Women’s Health Magazine, “for someone who works out at moderate intensity for an hour or less every day, maintaining a well-balanced diet and hydrating before a workout is enough to keep your electrolyte levels where they need to be.” And if they choose to indulge in a sports or energy drink occasionally, remind them to follow the drink with a good rinse of water, or some sugar-free chewing gum.